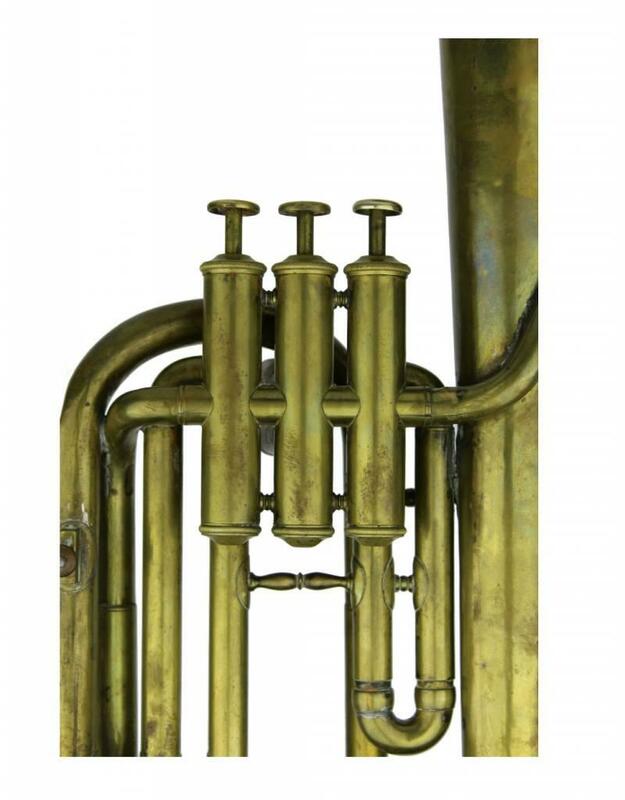 This A. Lecomte & Cie (engraved "A.L Cie") alto saxhorn in Eb was built between 1860 and 1875, likely the late 1860's. 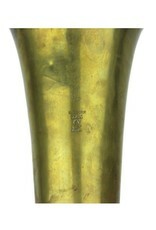 Starting in 1860, Lecomte was licensed directly by Sax to build sax models, such as this instrument. 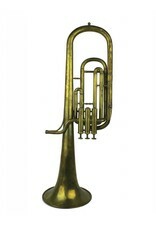 The saxhorn was developed by Adolphe Sax in the 1830's and patented in 1845, albeit much debate has been had (even to today) as to the relative degree of uniqueness the saxhorn family had compared to existing instruments. 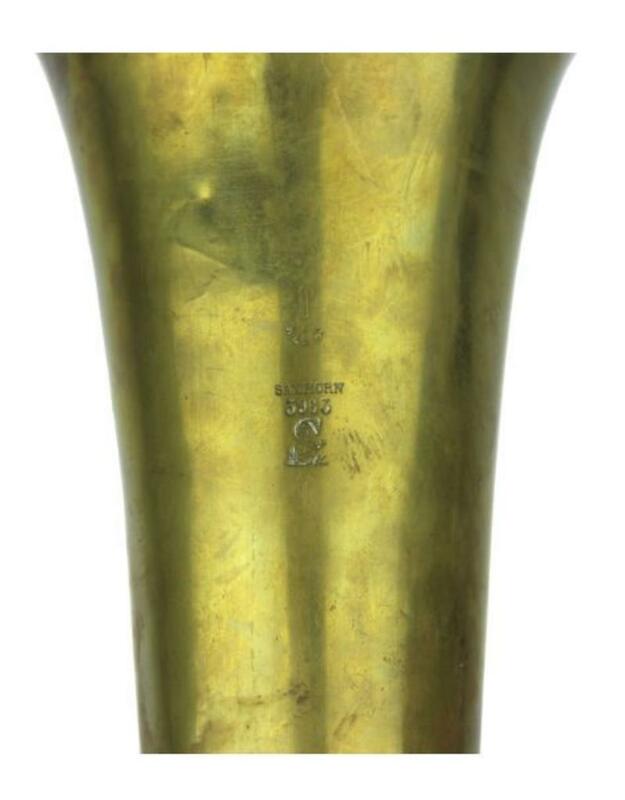 As a Sax-licensed instrument fairly early on in the instrument's existence (Sax was still playing around with the valve positions in the 1850's), this is a fantastic example of what an early but well developed alto horn (or tenor horn to you Brits reading this) looks and plays like. 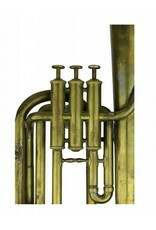 Lecomte began working for Gautrot, the famed 19th century brass maker, before going on to start A. Lecomte & Cie in 1859. By a mere three years later, he had a workforce of over 100. 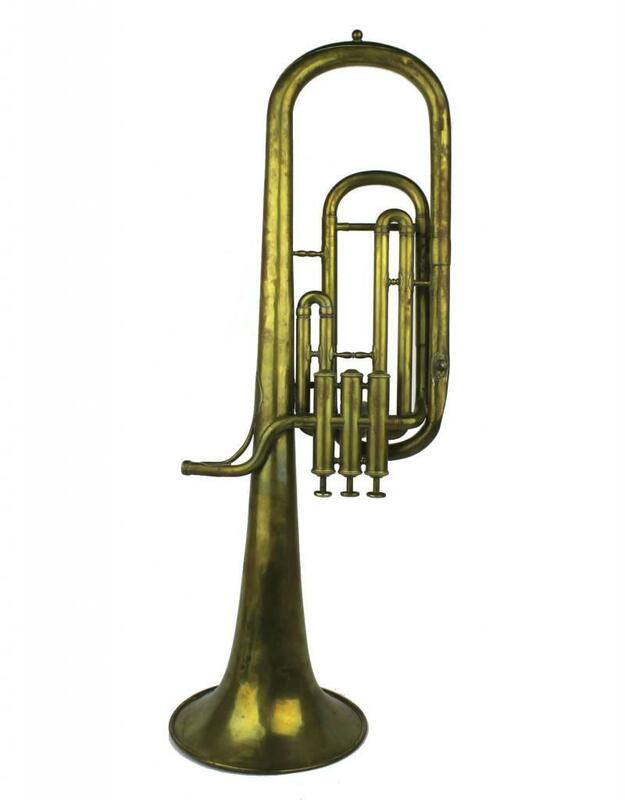 Many Lecomte instruments were produced for manufacture, but this instrument bears no markings of resellers. 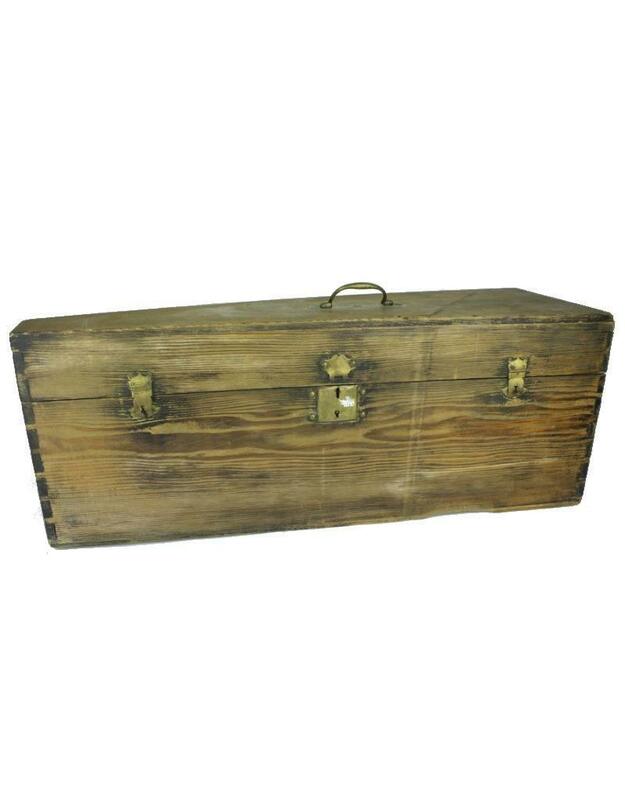 Instrument in fully functional condition with only minor dents and no leaks. Valves move smoothly, one cap has been replaced. Minor repairs have been done to the instrument with no affect on the performance or tone. 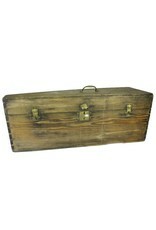 Additionally comes with appropriate coffin-style case and period accurate mouthpiece and lyre.